Packing yourself a lunch every day is hard work! Choosing the wrong kind of food can be detrimental to your dental and overall health. 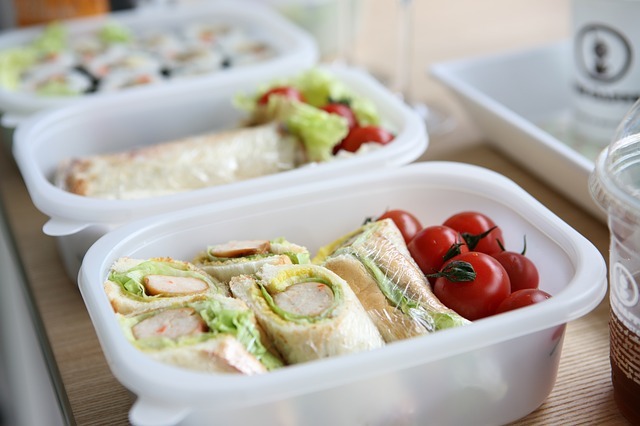 But, your Ballwin family dentist has 5 tips for packing a healthier lunch. Read on to learn more! Motivation is the key to keep your health goals in focus. Each of us has a different way of finding motivation. When you find yours, remind yourself of it every day. This will help you to have more control over any health goal, including packing your own lunch. When trying to eat healthier, the main thing you want to focus on is increasing the number of fruits and veggies you eat. Add a serving of protein and whole grains to a fruit and veggies based lunch, and you’ve got yourself a healthy lunch that will keep you full for hours. Make sure when you do this that you are picking healthy foods that you enjoy. Prepare some large batches of salad, soup, or another healthy recipe on Sundays to pack into containers for your week. Refrigerate the containers, and in the mornings you can just grab a container on your way out the door. This will help you to avoid purchasing items throughout the day that are loaded with extra sugar, carbs and low nutritional value. If you make a large healthy dinner pack some away in a container and refrigerate it for the next day. Then you already have a lunch that’s ready to go. Invest in a quality reusable water bottle that you like. Drink water at lunch time, as well as throughout the day, to stay hydrated. Avoid sugary sodas, teas, or juices. These items pack on the calories and the sugar is horrible for your teeth. Prevention is the best medicine for your smile. Veneers, crowns and whitening at your Ballwin cosmetic dentist can make your teeth stronger and brighter. But, you can save pain and money by brushing, flossing, and eating right. Eating a large amount of any food or drink that is loaded with sugar is just plain unhealthy for our teeth. Eating healthy food and drinking water will help strengthen your teeth, make your mouth feel and look amazing and make that smile last a long time. If you have any questions about your diet or would like to see what we can do for you, schedule an appointment with one of the best dentists in Ballwin! We’re excited to meet you.